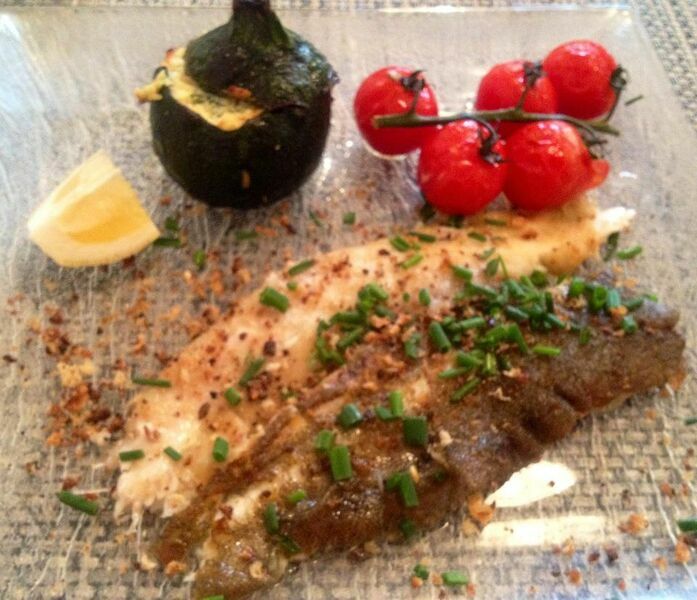 This simple and classic French-inspired fish dish is over the moon! Pair it with roast tomatoes or seasonal vegetables and you’ll be a rock star home cook. In a small saucepan, melt butter. Add olive oil, and lemon juice and cook for 5 minutes on low heat. Cover and set aside. Place the Dover sole fillets on a non-stick baking sheet then brush them with the lemon butter sauce and season with paprika, salt and fresh pepper. Broil the fillets for 4 minutes. Transfer to a serving platter and garnish with the lemon butter sauce and fresh basil leaves. Serve with roasted tomatoes, zucchini or vegetable mashed potatoes and a chilled glass of crisp sauvignon blanc or fume blanc for a homerun. Serves 4.